To perform a demo with the demo kit and your iNeighbour, you must first setup a demo account by yourself. Inside the demo account, you must have at least one System Admin (you must login as System Admin to configure the system) and few resident accounts (you can sign in to the mobile app as a Resident). After everything is setup inside the iNeighbour account, follow steps below to add in the BLE 16 – Smart Lift demo kit. Step 1 – Select IOT > BLE Lift. Step 2 – Make sure you already created building blocks in your iNeighbour account. Now select the block to manage lift (click the Manage Lift from the block section), for example BA (Building A). Step 3 - Click Add BLE Lift and system displays a setup page. 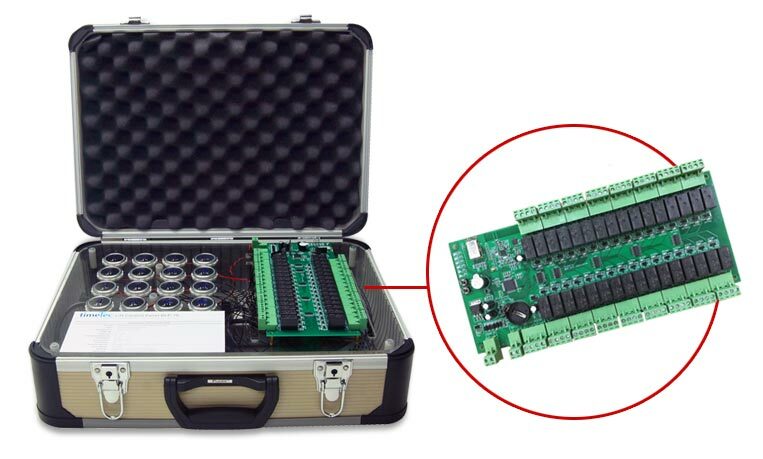 Name the demo kit, for example “my demo kit – BLE 16 Lift Control”. Insert the serial number (attached to the BLE 16 lift demo kit) into the Serial number column, system detects the MAC address from server automatically. Select the floors to match with the BLE 16 lift control buttons, for example 1st floor is represented by CH-1. One BLE 16 consists of 16 buttons, which can support maximum 16 floors. You can select less than 16 buttons to ease your demo process. Step 5 - After saving the configuration, go to the 2nd tab (Access Rights) to assign users and their accessible floor. Step 6 - During demo, we suggest to use Master Admin account. Now select Master Admin and select the building (you shall select the same build as you selected in Step 1). Select the floors allow to access. After you finished with the web setup, login to your mobile app to start to use.